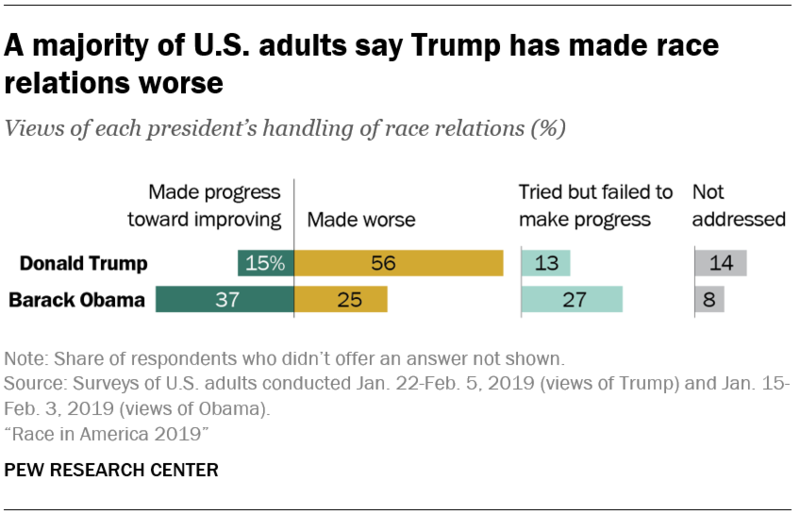 A majority of Americans (56%) say Trump has made race relations worse; just 15% say he has made progress toward improving race relations, while 13% say he has tried but failed to make progress and 14% say he hasn’t addressed this issue. 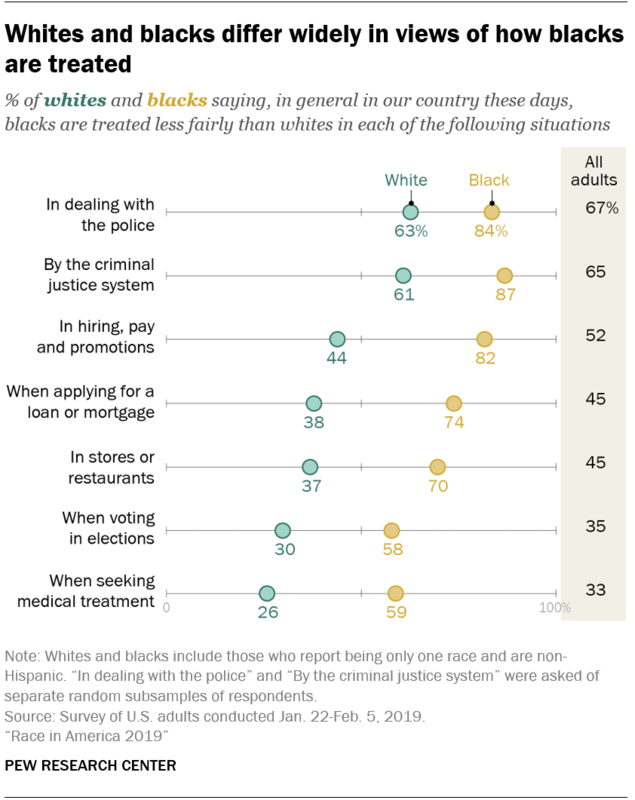 In contrast, 37% say Barack Obama made progress on race relations when he was president, and 27% say he tried but failed.2 A quarter of Americans say Obama made race relations worse. 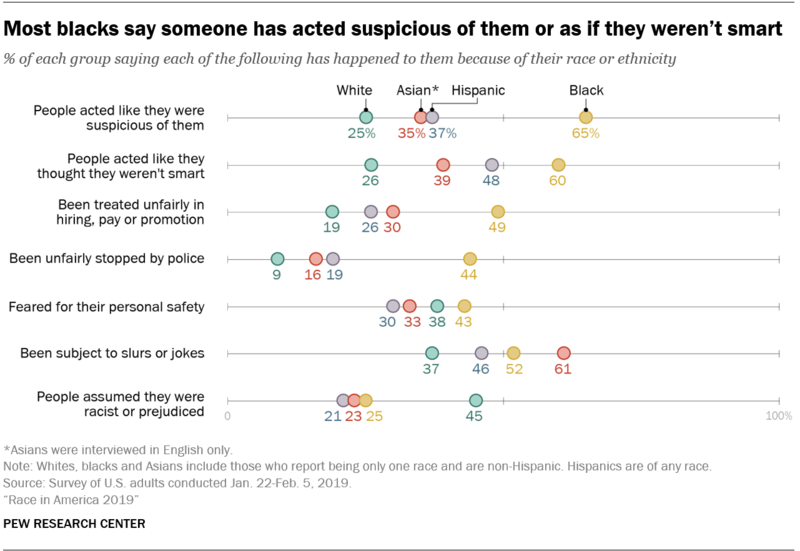 These retrospective views of Obama’s handling of race relations are nearly identical to views expressed during Obama’s last year in office. 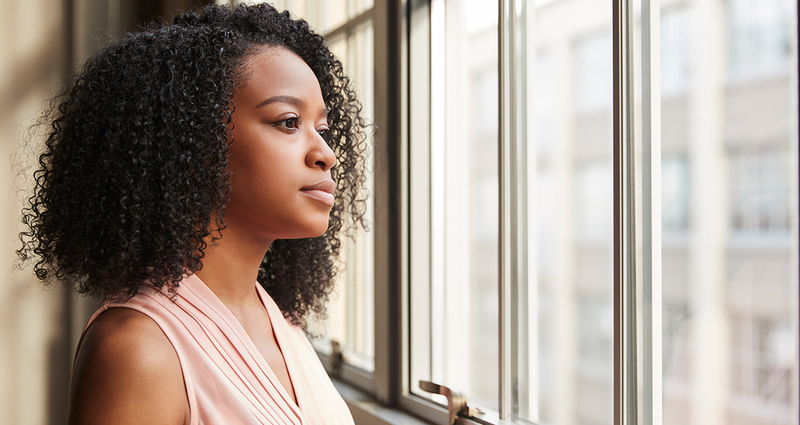 The survey asked black and Hispanic respondents to identify the skin tone that best resembles their own using a modified version of the Massey-Martin scale.5 A multivariate analysis suggests that Hispanics with darker skin tones are more likely than those with lighter skin to say they have ever experienced discrimination or been treated unfairly because of their race or ethnicity.6 Darker skin color is also associated with a higher likelihood among Hispanics of saying that – because of their race or ethnicity – people have acted as if they were suspicious of them, people have acted as if they thought they weren’t smart, they have been treated unfairly in employment situations, they have subject to slurs or jokes, and that they have feared for their safety.